You see, now, I created a rod for my own back by saying I’d write a blog about this. Wasn’t sure what else to do at the time. Having tweeted during the first days of the London EPT, creating a situation where some lovely people (people that I didn’t know) were quite excited to see what happened when I returned for Day 3, close to the money, it seemed… well, OBVIOUSLY the story needs an ending. I was expecting to tweet when the bubble burst, or when I got knocked out, or when I won the tournament. There always had to be some sort of rueful or happy or philosophical conclusion to the narrative. So, having concluded the tournament in a way I’m struggling to make sense of, and would really rather not write about, I feel like it would be unfair not to. So: here goes. The following story makes me look like a total idiot. It’s very embarrassing. But the day I started writing about poker, several years ago, I promised myself that (whether in a quick passing column, or in my book) I’d never be one of those people who told half-truths, with room for only highlights and triumphs, glamour and glory. Some poker players are keen to sell a version of events where they only ever win, and only ever do the right thing. That’s not how it is in real life – for anyone. I was kind of a moron today, so I might as well be a moron in public. So: I’d had a really bad morning. Won’t bore you with the details - all work stuff going stupidly wrong, and me feeling sorry for myself that I couldn’t just concentrate on the tournament like those who haven’t taken on too much else besides - and I’ve been a bit ill, and not had any sleep and… Blah blah. I had to stop in the middle of a meeting to make the tournament on time – having finished day 2 with 34,000 in chips and blinds at 1000-2000 (going up, of course, on day 3), I couldn’t afford to be late. I rushed there but I was in kind of a mess. To my horror, I realised I was on the TV table. This is depressing news anyway, when you have a 10-15 BB stack, as the likelihood is you’re about to make your tournament exit live on camera, with a bunch of people giving their opinion on whatever mistake you made for that to happen. An involuntary vision of that moment makes it quite hard to conjure up the gung-ho positive spirit that you need to play this stack (and, if you’re so minded, to manifest good things). It’s especially depressing when you have a horrible feeling that one of the reasons it’s been chosen as the TV table is that they ANTICIPATE you’re about to get knocked out and it’ll be a good moment of TV! But whatever. Them’s the breaks. Especially for me; I’m a PokerStars Pro – I am an ACTIVE PART of the modern poker machine, with all its whizz-bang coverage. It is part of my JOB to be visible while playing – and if that means getting stuck playing an awkward stack under more scrutiny than I’d have liked, fine. There’s no such thing as a free lunch. The problem was, I was absolutely not camera-ready. For some reason… OK, here’s the embarrassing bit. I was underslept, I felt stressed, and… God this is embarrassing, it’s going to make me sound like such a sap and SUCH a girl, but I couldn’t shake the feeling I was about to cry. I needed five minutes to wash my face, sort myself out, and maybe put on a bit of makeup to feel ready to look nice and try to embrace the double challenge of playing a short stack while helping to make a TV show. So I asked… I’m not going to use anyone’s names because I don’t think any of this is anyone’s fault. I asked X if we HAD to be the TV table from the start – whether it was possible to start broadcasting a bit later, or move there later, because I absolutely wasn’t feeling together. Or, I thought, if the live webcast HAD to start as soon as the first hand was dealt on the table, couldn’t we have a five minute delay before it started, so everyone could be ready for the extra factor of the coverage? That seemed likely to be possible. If you’re moving to the TV table in the middle of play, you always get a bit of notice and often a little break. And in my experience, TV tables always run on a different clock. That’s because you often have to pause for people to get miked up, new players to go in and out, lights or cameras to be fixed – meaning you always go on the break at a slightly different time to everyone else. It can be annoying. On the plus side, at least it should mean you can ask for five minutes before the start to get yourself together and psych up for TV. (By which I mean: have some cocaine). X said I’d need to talk to Y. So, I waited for Y to come to the table. I was getting anxious, as the clock was ticking down towards start time. By the time she arrived, there were only a couple of minutes to go, so I asked very quickly if the TV table could have five minutes before starting. Confusingly, she engaged me in conversation about it. Probably my fault for being nervous and unclear with the question. Suffice it to say that by the time she said she actually had no authority over the TV timing, I’d already missed four or five hands. This seemed such a ridiculous waste of time – so INSANE that I’d used up the few minutes I did have, pleading for a 5-minute delay with someone who couldn’t authorise one – that… OK, there’s no good way to say this. I now seemed to be crying. I’m almost as embarrassed typing that as I was at the time. I don’t make a habit of bursting into tears in public. But everything was a bit much today, and I just found I couldn’t help it. Well, now I was stuffed like an absolute kipper. Obviously I couldn’t sit down and start playing hands on a televised table while CRYING. I’d look utterly mental. And it wouldn’t reflect very well on the tournament either. There was no option of sitting down like that – but it seemed an unfair general disadvantage against the rest of the room, to be blinded out because I couldn’t sit down, when the only reason I couldn’t was because of the cameras. So now I pleaded quite seriously for a five minute pause, and Y said I’d need to ask Z the floor man. Now it was my big blind. The cards were being dealt. Marvellous. I had to put in a significant part of my stack when the hand was already dead, because I wasn’t sitting down when it was dealt. I didn’t even know what the big blind WAS. 2400? 3600? 4000? I hadn’t sat down since play started, nor seen a clock. So I just leaned over – not close enough to be in shot for broadcast, just leaning across the table – had a look at the hand and pushed my little stack of chips over for the dealer to take the big blind and give me my smattering of change. The hand was quite pretty, as it happened - 8–10 of clubs. But I could pretty much never have defended my big blind with it anyway, I reasoned, because I had too few chips. So: not a disaster. It would have had to go in the muck anyway, barring a super-specific set of circumstances. Still standing, I pushed the cards over the line with the chips. Turns out it wasn’t even my big blind! That’s how much of a mess I was in, no sense of what was going on in the tournament at all. The blinds were still on my right, I was under the gun. This was a relief, albeit a small and temporary one: it bought me an extra few minutes to try and get this break, or stop snivelling and tidy up enough to sit down. Obviously I’d now get all the chips back again, not just the change - I mean, this was a dead hand, on which it must be impossible to make an active bet. I don’t want to blame anyone except my idiotic self for any of this. That floor man is a genuinely lovely guy. I absolutely believe that he made the only ruling he felt he could with the information available. In fact, on reflection, I rather LIKE the ruling. I think it was properly well meant. Assuming that I intended to go all in, and understanding why I felt awkward about sitting down in front of the cameras in that moment, he opted in favour of the spirit of the rule (rather than the letter). I always want good TDs to be free to do this. Imagine if I HAD had aces! What a just and kindly ruling I’d have considered it to be. It just so happened, that was not the case. (Barry Greenstein told me later that, when the floor asked if I had meant to go all in, what I should have done is asked to give my answer out of earshot – which never occurred to me, but it’s a good idea and I pass it on to readers for possible future use). But I understand the floor’s reading of the situation, and have genuinely come to appreciate it. Even with the cards as they were: my 10-high could have won the pot, in which case I would’ve got to keep the chips, I’m sure. So I have to accept the alternative outcome. I also talked to X, who’d first advised me to wait and speak to Y about a 5 minute delay. He (really nicely) explained he hadn’t understood what the request was, or he would have said at once it’s impossible to have a delay. I’m sure that Y, too, despite being very senior on the TV production, felt that she had no option to give the delay. I’ve been delayed so many times by external factors at feature tables, I was absolutely certain that it would be possible. But I was wrong. Not her fault; I’m sure she wasn’t PRETENDING her hands were tied. Oh, I dunno. Serves me right for making a human error. Poker players are supposed to handle their emotions better than that. (They are also DEFINITELY supposed to know when it’s their big blind, and how much that is.) So, I can’t say that anyone did anything wrong – except me, being too much of a big girl’s blouse and not enough of a poker pro. But it was a perfect storm. If I’m disappointed in anyone, maybe it’s the other seven players at the table. Please note: if a player needs a break for any reason – if they are ill, or have just had bad news on the phone, or are inexplicably in tears – and the people in charge (tournament directors or TV production people) won’t or simply can’t give them a break, then there is one thing that you, a player, can do. You can create the space by making a slow decision. You can sit with your hand for five minutes, while that person has their break. You can say “Go, take five minutes, I’ll wait.” I have done this many times. Sometimes, everyone joins in – as happened in the major event where a player was given the wrong dinner break information and was due to miss a key half hour of play. The others took it in turns to make 5-minute decisions, so he’d only missed a couple of hands when he came back. It was an “I’m Spartacus” thing. The thought of it makes me very happy. I’ve done that kind of thing - tried to help a fellow player, despite the general umbrella of trying to knock them out of tournaments – because, for all that this game is about trickery and deceit and bluff, it is also a game of people and you have to keep humanity alive. On Day 1 of this very event, I missed several hands after a break because a girl had been stuck in a toilet cubicle and I waited for someone to get her out and then talked to her while she calmed down. On day 2, I noticed an opponent was suffering with a bad cold and feeling miserable – I gave him some cold remedy and bought him a bottle of water to take it with, despite it being to my obvious advantage if he felt awful and wanted to go home. You don’t have to do this. If a girl is standing in tears by your table pleading for a few minutes’ break, you certainly don’t have to help out with a delay. You don’t have to advise a drunk person in a cash game that he should probably have a cup of tea, or go home. You don’t have to warn a sloppy opponent that you can see his cards. You don’t have to point out to someone that it’s his big blind, before he passes by mistake. You don’t have to do anything for anyone. It is for each individual player to decide where his or her own line is, when it comes to deceiving people for money but remaining human at the same time. It’s definitely possible to do both. I know where my line is. I know what I’d have done. But maybe they had no idea what was going on either. I hope not. I really hope not. I’m going to assume not. I’m going to assume that nobody in this whole situation could have done anything different – because if they could, and didn’t, it’s a bit too cold a world. Two lovely friends sat and talked to me, on swivel chairs by the slot machines, while I whinged about this perfect storm, and how unjust it felt, and kicked myself for being such an idiot. They made me feel better. Thanks, K and C.
I wanted to go and play a cash game immediately, just to make something of the wasted day. Funnily enough, there was a seat in a £10-£25 Holdem game. But Jeff Leigh, the card room manager, said I shouldn’t play because I’d be on tilt and might make the day even worse for myself. I don’t know if he was right. I never really go on tilt. I thought I would play fine. But I came home because he offered this advice as a kindness, and I wanted to respect it by acting on it. It was one of those days when I thought: nothing’s really as important as a bit of kindness, now and then. There’s a story my Dad used to quote about an old academic, giving advice to a newcomer at All Souls’ College. It translates well to poker. That sounds so unfair - enough to make anyone burst into tears! Don’t get knocked back by this - you’re an EPT champion! And they were completely in the wrong. I’m sure they’ll be thinking about today and realise how unreasonable they were and end up feeling really bad. In the meantime, I really hope you feel better soon. I follow your twitter feed (and sometimes Guardian column) and enjoy your wit and insights. However, this blog goes over and above anything that a person in public view need do. I am even more choked reading this than I have any right to be. Hi Victoria, I followed your tweets and noticed you seemed to have a below par day from your comments. It’ll be no consolation at all, but I also had a terrible day at work and like you, found kindness to be in short supply. Perhaps a nice sit down with a cup of tea then an early night would be a great idea. Works for me anyway. Really enjoyed the Comic Relief special of Only Connect as well. Take care. Unlucky Vicky but Hey Ho on to the next. Really brave of you to write the story though BIG respect. Good news is you weren’t on the TV so we didn’t see you unmade up etc. I think you were right to leave rather than go to the cash tables though. You would of lost and your day would have got worse. Best wishes in the next. Always admired you as a poker player and a person - reading this it is gratifying to know my judgement is sound and you really are a first rate human being. Hi Vicky, sorry to hear about your day. Sadly I agree that there’s nothing the TD can do about it but count it as an all in. I also don’t think Barry’s suggestion would help much - I know I’d instantly assume this was done in error if you asked to discuss it with the floor in private. I seldom play live so the characters and circumstances around this are a bit of a mystery to me. The nearest I’ve played to a TV table is solitaire on the table by the TV. But it sounds like the equivalent of a disconn combined with an important phone call, a short stack and a hungry cat - and then finding AA autofolded. No consolation Victoria but you come out of it with nothing but credit for writing the blog. And fwiw, if I’d been the card room manager I’d also have been begging you not to play a cash game. All the nonsense might not have affected your game - but it couldn’t possibly have helped it. There’s the old saying…what doesn’t kill you makes you grateful it didn’t . Good luck in the next one. In a poker world full of scumbags, robots and egos it’s always nice to see a bit of humanity amongst the pros, especially when they are as sweet as you. Been twitter-railing you for the past few days Vicky and so sorry to hear that it ended like this. Hope you’re fully recovered. Of course, with a life’s worth of run-bad expended on the main event, you will obviously crush the high roller tomorrow if you play. I’m sad to have heard you had a bad day, but you have shown your class by the content of this blog. I hope you’re back to top form soon, I love watching you play. Wow, now I can see why your tweets were so cryptic and you couldn’t explain what had happened. What a horrible way to end a tournament. I am a big fan of yours and was following your progress from day 1. I hope that the situation doesn’t get you down now and that you move on from this and somehow take it as a positive and learn from it. Its good to know that you are one of the nice people out there that will look out for people when you don’t have to. The world needs more people like you! Oooh, it’s horrid to feel overwhelmed . Your Dad understood the importance of kindness and it’s hard when people disappoint you. Lots of lovely comments - well deserved for a heartfelt and honest piece of writing. Hope they helped – along with a duvet and a decent cup of tea. My apologies, of course you’re correct, it is a couple of years since I read ” for richer…” My memory was playing tricks, in my minds eye I was visualising the cover. Your book made me laugh and at times had me welling up with tears. I appreciated your honesty and today my admiration of you has grown. I was truly moved by your account and ability to speak about your emotions today. Sorry to hear about your exit but props to you for writing the blog in such circumstances. Chin up, have a cup of tea and enjoy the cash tables tomorrow. Glad that you took the CR Manager’s advice too. I now live outside the UK but sometimes pass through London for work and visiting family. Your books and blogs made me want to visit the Vic and join, as I was curious to see if it really is like the way you write about it. It is and I love everything about it ... even though I am invariably the fish at the table! I guess I keep coming back to see if you are ever there (you never are though, as I’m only ever there in the early mornings) and because I like the people. They are obviously smart enough to make me want to come back, of course ;-) ... but they couldn’t be nicer about it :-). Victoria, you have shown a huge amount of courage and humility in writing this log and although I don’t even pretend to understand all of the terminology, I know when someone is being genuine and therefore Kudos to you. Thanks for so many lovely messages here - what an OUTPOURING of kindness! It’s really cheered me up. Many hours later, I’m even starting to see a funny side to my ridiculous string of things-going-wrong today. It’s a wonder I managed to get out of the casino without falling down the stairs. I’m kicking myself hard, of course, for coming so close and then cocking it up (it’s not easy to make a day 3!) - but all I can think is, at the time it felt like I had no choice and could never have sat down in the right state. Ouch, sounds like a crappy day; hopefully tomorrow will be better! I’ve never played poker nor have I been on TV, but I’ve messed up at work and I’ve cried in public and been really embarrassed about it. I think those are both experiences many of us can relate to, and I suspect VERY common nightmares. Can’t advise at all on the poker but I noticed you said you were really embarrassed about crying and getting upset. Personally, I recommend crying with your head high and shrugging and mentally telling people, ‘Yeah, I’m crying; so what? If it bothers you that’s really your business not mine.’ At least that has helped for me in the past. There’s no shame in crying or even in making a stupid mistake; save shame for when you’ve been a jerk or dishonest or something actually shameful. A great, honest piece of writing VIctoria. Obviously you may have contractual obligations as a TeamPro, but do you know if a player can refuse to go on a televised table? I assume releases must be signed, permission given etc., but would saying no preclude entry to a tournament? Anyway, chin up, hopefully the blog post was as cathartic as it was well written - onwards and upwards! I love how you don’t shy away from being so honest like most people do. I am so sorry this happened. Tears sometimes just come of their own accord, it’s out of our control. I love your poker tweets and play every hand with you vicariously, so don’t let this knock you back, you brave, honest woman, you’ll have your better days. I had the rug pulled from under me recently as well. Everything was lining up just perfectly for me and then *bang* it was all gone. As upset and disappointed as I was, my friends were on hand with large amounts of red wine and dark chocolate and the age-old advice that everything happens for a reason and before long, something better will come your way. Oh Vicky, what a horrible situation. Having seen X at work close up, helping people in situations like this, I know his intentions were well meaning. Also which may not have been obvious to you today, the Pokerstars family closed ranks to protect you. Nothing mentioned on the live stream despite constant repeated requests, nothing on the blog, despite a big name having been knocked out. Only your tweets and stack count of 0 to show that something had gone wrong. I also try to play compassionate ethical poker, joining in time banking on the bubble, online, for short stacks at my table, having been that short stack myself numerous times. And you absolutely can be a ruthless poker player yet still be a human being, you’re a shining example of that. There’s something about everything I see you in or read of yours that amazes me. The intelligence, humility, wit, and kindness jumps out of the screen and hugs you like an old friend. I’m really sorry to hear about your day. It’s wonderful that, at your level of success, there are still real, emotional and genuine people who value decency. I’ve had an absolutely awful day for a similar reason. At all levels it seems that you come across people who have no integrity and are prepared to go to any lengths to get what they want, no matter who they tread on along the way. I always hope that eventually kindness and merit win out, and you’re about as good evidence of that as I’ve found. In any case, you make me smile even when times are hard, don’t change a thing. You acted perfectly today! This reminds me of the day I was turned off a flight to New York at the gate because my passport was old style and i hadn’t realised I needed a visa (despite being a UK citizen). The shock, and feeling of complete idiocy (as it happened in front of a client who had paid for the flight) was total and your description was the same way that I felt. I was tearful for hours but with time came acceptance, amusement and a lesson learned. You’ll move on stronger for it - and I will be cheering you on from the sidelines! I’m an even bigger fan since you shared this story, by the way. What a bugger’s muddle. Poor you. Hey, ho, onwards & upwards. My mum has a little plaque at home given to her as a child that simply says “Be ye Kind” apparently it’s from the Bible. I’ve always thought it was the best way to live my life. Sometimes it is hard to accept kindness tho’ as it means forgiving/ accepting your own failings. Be brave and good luck. Unlucky Victoria. You seem like a (generally) very positive person and I’m sure you’ve bounced back already. I very much admire you and your honesty. You’re an inspiration to me and many others i’m sure. Your Dad’s quote is wonderful (my Mum, now also sadly gone, only watched Call My Bluff because “that Alan Coren always dresses lovely”). Maybe after reading this some of us will be inspired to show a little bit more kindness and some good will have come of your horrible day. It’s funny, it seems to be easier in this day and age to forego kindness, in favour of a ‘It’s not my fault you’re having problems, why should I care?’ attitude. As you say, you do this without thinking, because you are a decent person, but it seems that being a “decent” person is not the way to act today. I have always been told I am too ‘nice’ for my own good, which really depresses me, as I like being a caring, kind individual. I do try to keep smiling all the time, but sometimes it is hard. Knowing that there are other kind people out there means I will still strive to keep a smile on my face for as long as I can, and I hope you do too. Sorry to hear you had such a bad day yesterday Victoria. Hopefully today has been going better. I truly admire your honesty here, and I’m delighted to see such kindness in the poker world. I hadn’t thought of the camaraderie in poker, I’ve always thought it was more “every man for himself”, but I’m happy there are people like you who have proven that wrong. It’s just so nice to see someone so honest and down to earth. As others have said, there’s no shame in having a bad day, hopefully things turn around for you soon. Good luck with everything. You don’t say who the other players were at your table, but I’m picturing a group of largely young bucks who’ve hooked early into professional poker. Big brains, sharp minds and good moves - but also not an iota of real life experience that would teach them the values of the game and not just the rules. A lot of these kids learn their play online with all sorts of robotic software to guide them. They hardly ever see a real person let alone have any a clue how to be a human as well as a player. Hope you feel better soon and return to the tables to whup their bloodless asses! I’m gutted. Everyone got deep and meaningful advice from their parents. All my dad offered me was, “Never buy a Fiat”. Sound advice but not the work of a philosopher. Hope everything is back in perspective now VC. Love reading your tweets and blog. Took me a while to get here and read the outcome of that twitter stream. Lovely bit of writing and I think even if you don’t get poker, the human side will reach you. Roll on the next game Victoria. Don’t agree one single bit with the card room manager advising you not to play £10 / £25 game “because you’d be on tilt”. That’s not up to him to say and totally wrong and unfair to the other players who could have took advantage of this. Shame on you Jeff Leigh. 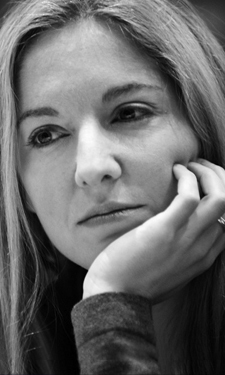 Ms Coren, more honesty in this piece of writing than most celebrities and or politicians show in a lifetime. You didn’t have to explain, but you did. Perfectly reasonable (and kind) thing for Mr Leigh to do imo Boab. There are more important things than winning a few quid in a game of cards - ethics, morals, good humour - that sort of thing. It’s unlikely that Victoria needed protecting from herself in this case but a positive thing that someone cared that she might. no other way to reach you so: what happened to Balderdash? it was awesome. I’m always really impressed by your honesty. Was very confused by your tweets on the subject, but it would have taken you all day to explain in 140 character chunks. Very impressed that you spoke so openly. Shame you didn’t bust the queens though - would have been some sort of justice. I reckon you are a first class player. You were my favourite person on television before I read this blog and after reading it you’re my favourite even more. Your request for kindness and understanding from your fellow pros should be relayed to many others out there, even though, like you I suspect, I think the world is much kinder than the Internet and media in general would have us believe. Glasgow Don cannot improve on the advice of Oxford don, but I hope you take some heart from this message anyway. Many great comments here. Standing their crying, bloody hell Vicky, you’ve already won, you can do whatever you like, whenever you like. You are human, you were having a bad day, you were ill, people weren’t particularly helpful (even if it was unintended). You are beautiful, incredibly intelligent and come across as so kind, it’s almost a relief that you have had a reaction like anyone else to a bad day. Unfortunately not everyone is as kind as you. Just keep being your wonderful self. Love the comment at the end. Like to think that the kindness counts for more in the end. Wow, you just keep getting awesomer. What a sick day, look what you did with its aftermath. Amazing determination at work. I’m not in the habit of idolizing people I don’t actually know, but have to make an exception in your case. I’m a writer/poker player truly inspired by you. Thanks for this post. I’ve been reading Vicky’s articles from her days at the Telegraph some 20 years ago. She is a good journo, a clever lady, a fine poker player, a great TV presenter, funny, humourous and more than a little foxy. Yet, this is a lot of self-serving pish. You turned up late because you were earning money elsewhere? Get your priorities straight. You weren’t looking your best? Welcome to the world of non-beautiful people. You were flustered and didn’t know what was going on? ... You’ve only yourself to blame. Wailing about helping some lass who was distressed, or helping out a steamer who doesn’t know what day of the week is. We get it, you’re a nice person. But for the rest of it, Balderdash and Piffle.